But one story really stands out in my mind to illustrate our incredible power. Here’s what happened to this young girl, we’ll call her Suzy. One Christmas Suzy had her heart set on getting a new Barbie. But not just any Barbie, it was one where you could cut her hair. At least the doll came with scissors. It was the last gift that little seven-year-old Suzy opened, and she felt pure bliss. Barbie’s hair went from hip length, to waist length, to long layers to asymmetrical, to shoulder length, to China chop, to pixie short…finally ending with a total buzz cut. Suzy was enchanted. And then a little bored. Two hours had passed in hair cutting ecstasy – what next? The logical thing to do was of course for Suzy to cut her own hair. Which she did. She cut layers and more layers and then a bit more. Some might called the end result “massacre with scissors.” Suzy knew it was THE cut of her life and couldn’t wait to show her parents. Little Suzy had a hard time understanding why her mother wanted to take her to a beauty salon to “fix” her hair style, after all what was there to fix? Mom knew Suzy would be subject to endless ridicule at school, possibly traumatized for life. Suzy knew everyone at school would be so envious of her cosmetology savvy and skill. Her friends would turn green with envy. Her complete and unquestioned confidence in her appearance caused other people to see her beauty. That story was told 12 years after the fact and Suzy still has pictures of that hair cut. She would never cut her hair again, but she cherishes that memory of boundless self-value. We all have had that level of confidence at times, but where is it when you need it? Confidence is like a muscle that you exercise. You decide to be more confident, to choose the positive interpretations, to take care of yourself, and the feeling of confidence comes to you after that. Because confidence doesn’t come from the outside . There’s no confidence osmosis. It doesn’t rub off from your accomplishments like the white stuff that sticks to the bottle after you peel off the label. A specific way to grow TRUE CONFIDENCE. Did you know that your brain is constantly rewiring itself? That’s what neuroplasticity is all about. Use this knowledge to grow your brain! 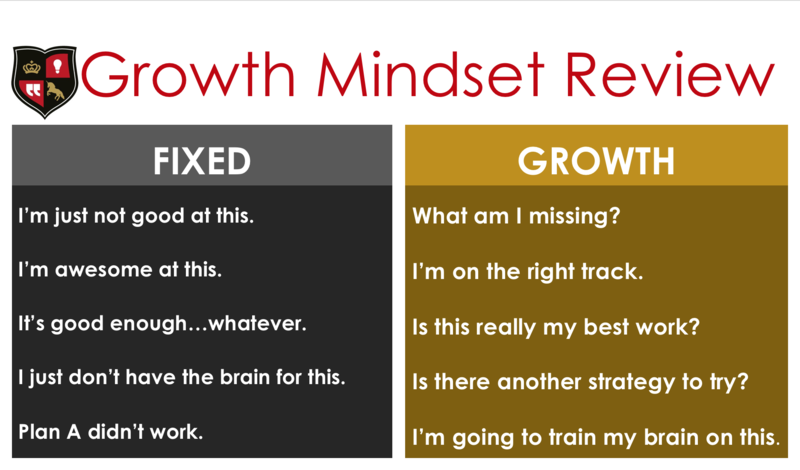 Psychologist and researcher Dr. Carol Dweck coined the “growth versus fixed mindset” framework more than 10 years ago. This concept allows you to train your brain to be a better problem solver by adapting more of a growth mindset. A person with a growth mindset sees mistakes or setbacks as opportunities for learning. Growth mindset means to focus on the process of mastering something new, to enjoy being challenged, and to learn. In contrast, a person with a fixed mindset views her abilities or skills as inborn, and avoids trying new or challenging activities or goals because of fear of failure. The fixed mindset sees outcomes through a binary lens of success or failure, rather than seeing opportunity for experimentation and growth. The fixed mindset tends to focus obsessively on outcomes. You grow your brain’s ability by shifting your focus to effort, instead of outcome. With a growth mindset, the focus is on the process. Regardless of whether you achieve the goal, of whether the outcome is perfect, be sure to notice what you’ve learned and how you’ve grown. You become more comfortable with making blunders because you know those are just opportunities for learning and improving. Growth mindset, when applied to your thoughts about yourself, takes your focus off past accomplishments. Instead, you want to consider what you’ve learned and how you’ve grown as a person and as a business owner. Maybe even as a parent or community leader. EXERCISE: Write down 10 ways you have grown personally or professionally in the last year or so. Think about specific skills you have improved (example, sales or giving feedback). Maybe you have become more patient or compassionate. Read over your list and notice your internal state. Feeling proud, strong, or even relief from negative self-talk, that means your brain is getting more resilient! Read over the list frequently until you internalize these accomplishments. Your self-talk improves a bit with each reading. And that shift in thinking, my friend, is sure to grow your true confidence.